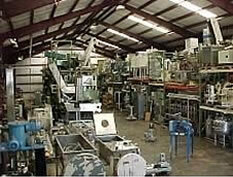 We are a stocking dealer with over 70,000 sq. ft. of heated warehouse. We have over 750 quality machines in stock, ready for your inspection. Most can be seen under power. More machines are arriving daily! Please contact us if you don't see what you need. To view our new machines, click here. Get immediate notice of our newest arrivals and special deals on our used equipment!